This week we didn't do anything fancy..and I have not recipe links to share. 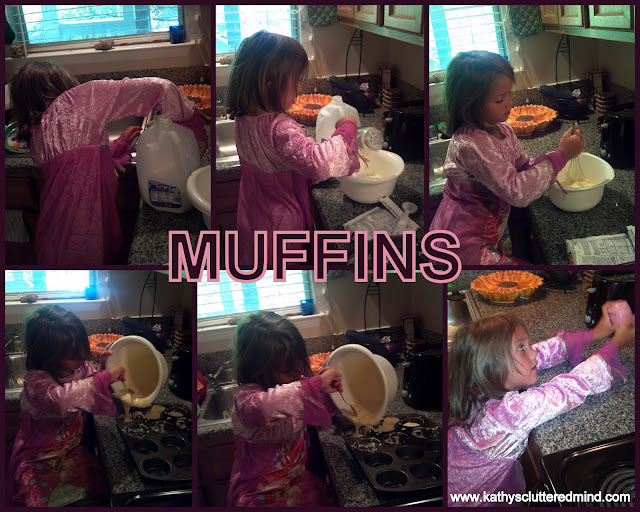 Gwyn helped me make some package corn bead muffins. Which turned out very well! They were so tasty they were gone in 1 day. Then we had some fun outside of the kitchen, literally outside! We made Solar S'mores at the pool. 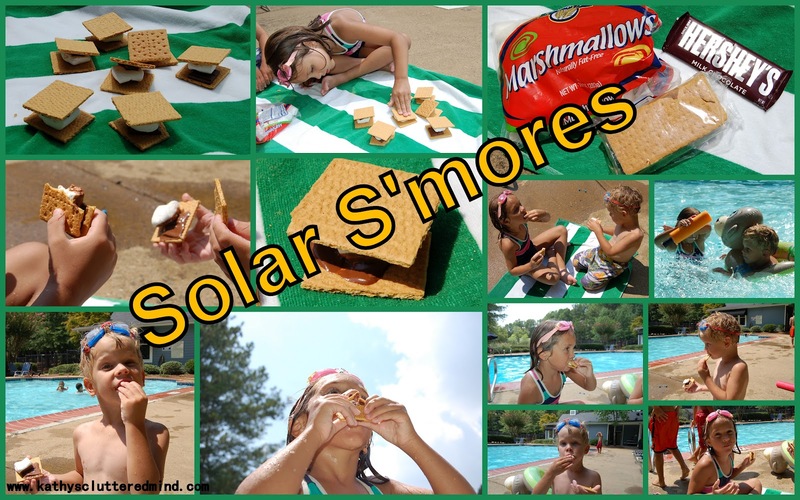 Thanks to the very HOT sun our chocolate and marshmallows melted quite nicely. While the kids waited for the sun to do its job they cooled off in the pool. I know this really isn't a cooking lesson but it is a super fun Summer activity which I highly recommend you give a try. This is also one of the many fun things on our Summer Bucket List. What kind of cooking fun did you have this week with your kids? 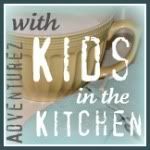 Thanks for linking up with Kids in the kitchen! always happy to have you!